Mr. Alabdulkader has joined the Department of Laboratory Technical Support and Sevices in 2017. He graduated from Barry University with a Bachelor Degree of Science in Computer Information Science. 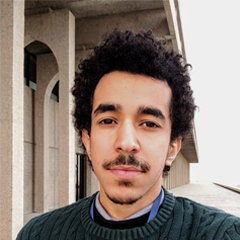 Abdullah has also worked for PROEXPERT in Miami, Florida as a web developer for 9 months. B.S., Computer Information Science, Barry University, FL, USA, 2015.